Gyumri’s “Kumayri” historic and architectural compound is a large urban planning compound, which occupies an area of about 1000 hectares and includes more than 1600 architectural monuments dating back to the 19th and early 20th centuries and formally provided with the monument status as far back as in 1980. These are residential houses, public buildings, industrial constructions, workshops, churches, bridges, military structures, an underground running water system, baths and many others. This historic urban planning compound, which is extremely rich in monuments, is getting ever poorer with every passing year: many monuments are in a critical condition and get gradually destroyed. The Armenian public is not well informed about this volatile situation as the media environment or intellectual communities lack an appropriate comprehension of the compound’s real cultural significance. 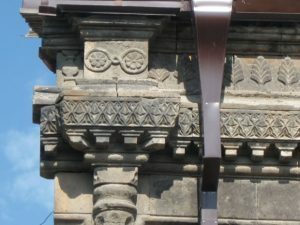 It is obvious to us as the city’s cultural and public activists that the remaining architectural monuments are in a dire and urgent need of proper registration and putting on a database, while later all steps should be made to ensure an appropriate protection to the compound’s monuments. With this goal in mind, we have decided to begin with creation of an information source accessible to a wide range of persons, because information-related presence (today on the Internet, in particular) makes provisions for a start needed to influence the situation. Motivation for further monument research and laying foundations for monument registration, maintenance and protection. 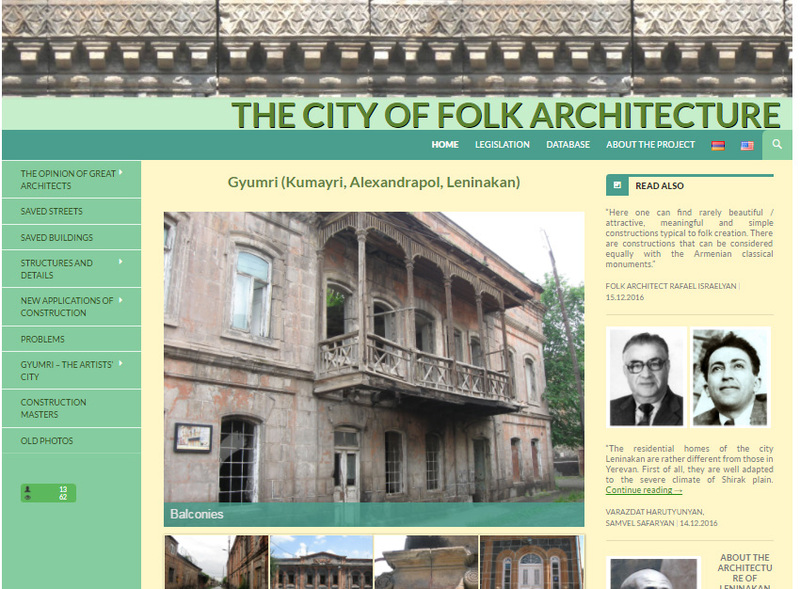 In summary, our major efforts have been concentrated on creation of a special topical web-site www.cfa.am: Popular Architecture City: Gyumri (Kumayri, Alexandropol and Leninakan). Concurrently, we have created an additional product for a more specialised professional use: software for registration and description of the historic and architectural compound’s monuments. Both of these vectors of our activities have served to supplement each other in terms of their contents and approaches, since they combined a strictly research-related operation with some technical objectives. The algorithm we chose to follow may be described using a universal formula for project management: situation analysis (both research into the material itself, as well as studying the already available technological solutions) – creation of three draft versions of the material structure and selection of the best one – technical part proper related to programming, registration and execution of the information product (including its multiple editions) – information publication/ distribution on the product created. When working on the web-site structure, we sought to achieve a balance between the scientific justification and completeness of the information on the condition of the compound’s architectural monuments and their legal status, on the one hand, and journalistic attractiveness of the materials, on the other hand. We have taken the liberty of a ponderable share of the web-resource’s artistic poetisation not only because we believe ourselves with all our hearts in the need for preservation of the “Kumayri” compound, but also because Gyumri has always been rhapsodised by artists and literary or political figures who visited the place or lived here. This is a value-oriented component of our heritage, which may not be left unheeded. 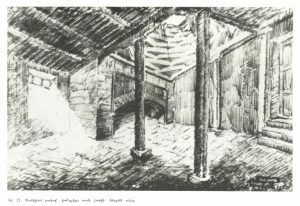 Government-sponsored list of the Gyumri and Shirak Province immovable historic and architectural monuments with active links to the relevant Government decrees. All the above has required from our experts a thorough research work. We looked into all the accessible international standards related to the creation of online resources on immovable cultural heritage monuments (including peculiarities of publishing information on individual ownership of the architectural monuments). 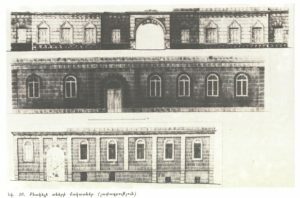 We needed both field studies of the Gyumri monument preservation status, as well as some office research: analysis into the existing online resources, literary and archive sources, works by researcher architects, legislative and legal acts of the Armenian Republic and Gyumri administration, relevant museum materials, works by well-known artists, historic photos and post-cards and other materials. In total, we have collected about 2000 units of materials: photos, scanned documents, maps or architectural designs. About 875 of them are presented on the web-site: research summaries, articles, drawings, architectural measurements, photos and other materials. Upon the web-site population process completion, we moved over to distributing information on it. Beside mass media publications, we made it a point to declare officially about our work. 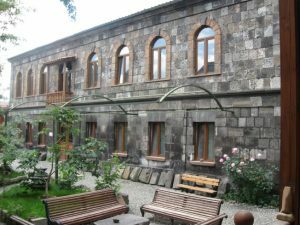 We drafted addresses in writing to the Armenian Ministry of Culture, Armenian Urban Planning Department, Shirak Province Administration and the Gyumri City Authorities, which informed them on the active web-site. We have passed a similar technological cycle, while working on the piece of software related to registration of the historic and cultural compound’s monuments. After many months of close collaboration among researchers, activists and technical experts, consultations and testing we were ready to inaugurate the product. However, due to its narrow specialisation profile and level of detail, to serve the purpose, we have launched a special training course to master the software product. 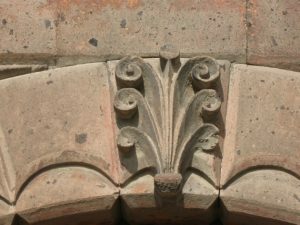 It was taken by 35 responsible representatives of the urban planning and architecture spheres, as well as some special subdivisions dealing with historic and architectural monuments in the Gyumri local self-government agencies and Shirak Province Administration, as well as representatives of cultural organisations or interested public organisations, artists, architects and civil society activists. So far it is premature to speak about the long-term effects, because the operations related to web-site and software product release have just finished. Yet, already now we can notice a trend to growing mass media interest, judging by publications on the Gyumri popular architecture. Likewise, comparing with the project start period, there has been a remarkable growth recorded in interest on behalf of the authorities to our city’s architectural monuments. 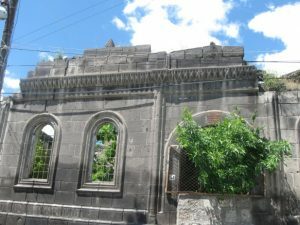 The Armenian Government has launched a large-scale project on formation of a “tourist” neighbourhood in one of the city’s old parts. Despite a colossal significance of the work done both for the compound and to enhance our organisation, we are well aware that, on the whole, we have just succeeded in laying foundations under further activities related to search for investors and donors for a real rehabilitation of the “Kumayri” compound. 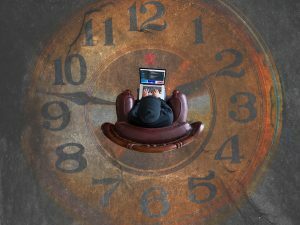 We have created an information-related pretext, public attention to which is not a long-lasting one, given the current dense stream of events. Our further actions, including those to achieve our initial objectives, should be reformulated as full-fledged advocacy campaign, which would require efforts by additional experts to be exerted.